Santa Ana, CA – June 18, 2018 – Red Mountain Group, Inc. is pleased to announce an acquisition in San Pablo, California located at 300 San Pablo Towne Center, directly across from the San Pablo Casino and Hospital. The 49,572 SF building is a former supermarket location and is easily accessed from Interstate 80 on and off-ramps. 37,572 SF will be occupied by Big Lots, with the 12,000 SF balance actively being marketed. The center is anchored by Ross and Dollar Tree with additional co-tenants of Starbucks, Jamba Juice and Goodwill. 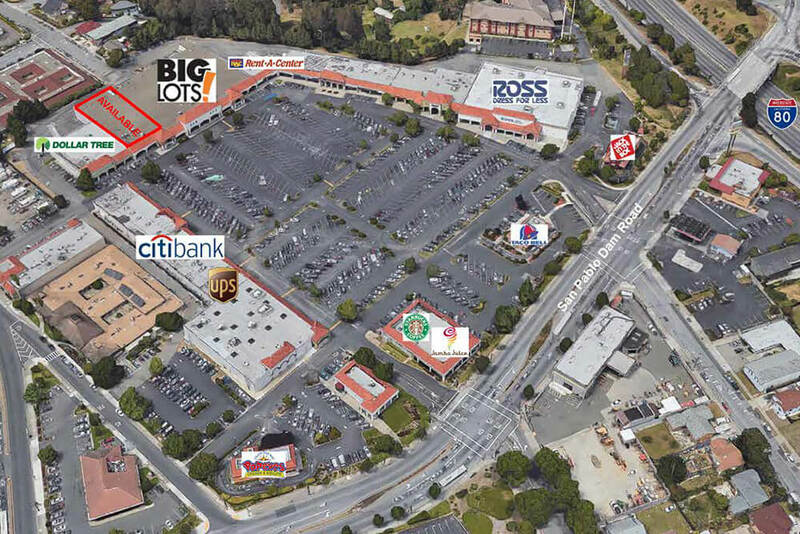 This property is a well-established and thriving commercial center along the main East Bay Retail Corridor on Interstate 80 with traffic of over 400,000 vehicles per day. The locale is experiencing rapid growth in population, household incomes and the market has very few vacancies.